Lava Iris X1 Atom is an affordable smartphone launched with 5MP primary camera in April, 2015. The phone cover basic requirement in the mid-range category. well talking about Lava Iris X1 Atom, it include good specification which leads to better performance. The phone include 1300 mAh battery to support its 4.0 inches display. It offers internal memory of 8 GB with 512 MB RAM and also support micro-SD card upto 32 GB. The version installed on the phone is Android 4.4. The communication medium in this phone include WLAN, Bluetooth, GPS, Radio and USB. 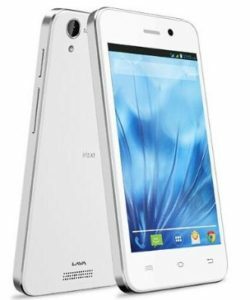 Another varient of this handset is Lava Iris X1 Atom S.